Social outcast Mary joins a band of disciples led by an enigmatic preacher. For Christians, roughly a third of the world's population, many of whom have her image hanging in their homes, Mary Magdalene is a hugely important figure. For a relatively small number of history buffs, she's an equally compelling character, though for far more grounded reasons, with historians debating for centuries what role the real life Mary played in the life of the man we know as Jesus Christ. Any accountant worth their salt would tell a filmmaker that if they must make a movie based on Mary Magdalene, appealing to the former group is the way to go, but director Garth Davis and screenwriters Helen Edmundson and Philippa Goslett have bravely opted to take the road to Jerusalem less travelled, delivering a gritty, realistic take on one of history's most famous female figures. Played by Rooney Mara, we find Mary as a rather average young woman, neither madonna nor whore, living a listless life in a fishing village. Due to her lack of interest in marriage, her father considers her possessed by demons, and arranges a healer to perform an exorcism (part baptism, part waterboarding, and not much fun for Mara to shoot by the look of things) on his independent minded daughter. When an enigmatic preacher by the name of Jesus (Joaquin Phoenix - who else?) 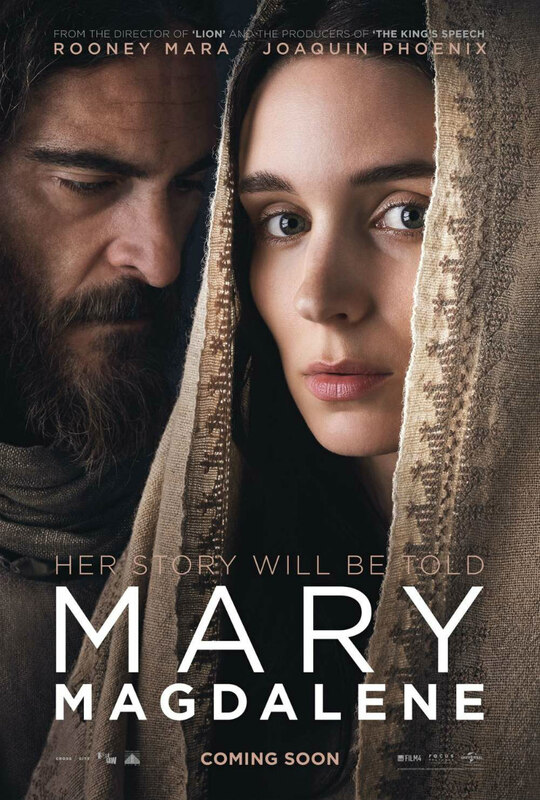 arrives in town with talk of leading a revolt against both the Roman occupiers of Palestine and the Godless locals themselves, Mary is won over by his revolutionary zeal, joining his band of disciples, which includes the disapproving Peter (Chiwetel Ejiofor) and the nervy Judas (Tahar Rahim). A common dismissal of an actor's talents is the claim that they deliver a variation of the same performance in every role. 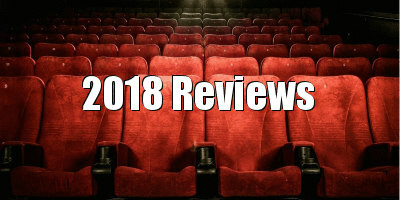 It's a silly complaint, as with the exception of chameleons like Daniel Day Lewis, Meryl Streep and Christian Bale, it applies to almost every actor who ever appeared on screen. In the case of Mara however, I never feel like I'm watching the character, simply the actress, and having mulled over her prolific work for the past half decade, I have to conclude I'm simply not a fan of her played out willowy, winsome persona. She's badly miscast as Mary, not just ethnically, but because she doesn't possess the gravitas to hammer home the importance of this much debated figure. It doesn't help that the script gives her a thinly sketched character to portray, one that amounts to little more than the biblical equivalent of a rock groupie. Mara has joked that when Davis offered Phoenix the role of Jesus, the actor replied "Finally, somebody gets me!" Whether knowingly or not, Phoenix has come to embody the public perception of a pretentious thespian, so playing the son of God seems like the role his career was building to. Phoenix brings too much of his own baggage to the role, and watching his portrayal of Jesus as a cross between Charles Manson and an emo teen, I couldn't shake the image of his infamous chat show appearances while in full-bearded character for his role in Casey Affleck's performance art piece I'm Still Here. On a surface level, Davis' film offers its share of aesthetic distractions. The rugged landscape of Italy makes for an effective substitute for the Holy Land and Greig Fraser's camera is unobtrusive, allowing the human players to meld with the natural backdrop. The late composer Jóhann Jóhannsson, collaborating with cellist Hildur Guðnadóttir, delivers one of his most beautiful scores, though its use here is at times vulgar, the equivalent of flashing the words 'This is important!' on the screen. Attempting to satisfy historians without rubbing Christians up the wrong way in the process, Mary Magdalene sits on the fence, refusing to portray any 'magic' on the part of Jesus - water is neither walked on nor turned into wine - and its non-committal nature quickly grows tiresome. As a teen I attended a Christian school, but not being Christian myself, I was excused from religious lessons and would instead sit at the back of class and make a start on my homework. Halfway through Mary Magdalene I began wishing I had some algebra to distract me from the dramatically inert, plodding story unspooling on screen. I may not believe in the Christian interpretation of Mary Magdalene, Jesus et al, but I'd much rather watch that version, with all its supernatural glory, than this kitchen sink alternative. In Mary's case, if you want to make an engrossing movie, it's probably best to print the legend. 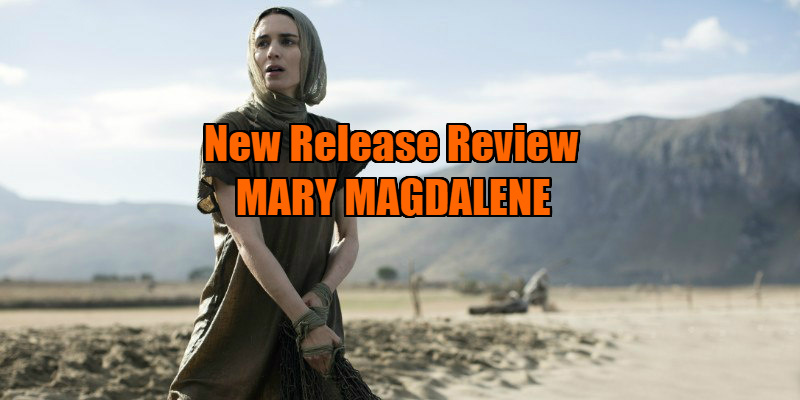 Mary Magdalene is in UK/ROI cinemas March 16th.